In our last article about gold we focused on how to find the right gold buyer in case you want to sell your unwanted jewellery. Some stores offer better prices than others, but how can you determine the real price of your gold? In our today’s article we’ll tell you the exact process to find out the pure gold content value of your gold jewellery. Knowing the exact and most actual price will help you make better decisions. You should be able not only pick the best gold buyer, but also decide if even the best price on offer is good enough. Remember that selling your precious gold for too low price, even if it’s the best what you can get, can mean that you are perhaps loosing too much. Sometimes you may be better off holding to it or find some other way of selling. The purest gold, or 100% gold has 24 carats. But no one makes any jewellery out of the pure gold. That’s because the pure gold is too soft. Such jewellery would be impractical. Even low intensity pressure or pulling force could have damaged it. To make the jewellery more resilient it’s usually mixed with other metals, like platinum, copper, silver and so on. To calculate percentage of pure gold simply take the carat number and divide it by 24. So, for example 14 carats gold has 14 / 24 = 0.5833 or 58.33% of pure gold in it. Or 9 carats gold represents: 9 / 24 = 0.375 = 37.5% pure gold. At the end we will show you the formula to calculate the final price of your gold item. Let’s say that your jewellery has 14 carats. Obviously when selling gold (or any other commodity) the most important thing is its weight. Finding out how much your jewellery weights can be a bit tricky. The problem is that its weight is relatively small compared to other usual items used in your household like flour, sugar, etc. You can’t use normal kitchen scale because it is not precise enough for the tiny gold quantities. One gram of sugar in your muffin usually doesn’t mean anything, but when it comes to gold then 1 gram can be a huge difference for the final selling price. You will therefore need adequately precise scale. One option is to buy one. However, if you are planning using it just ones than it maybe waste of your money. However, there is one alternative. You can take your gold to any jewellery shop and ask them to measure it for you. You can also take it to any shopping centre with the Gold Buyer outlets and pretend that you are interested to sell your gold. They will be happy to measure it for you and give you their quote. Once you know how many grams it has (ask for it in case they tell you only their final price offer), simply tell them that you need more time to make up your mind. They don’t need to know that you basically used them just for the measurement. In our example let’s say that your gold item weights 15 grams. The actual gold spot price on Christmas Eve (December 24th 2012) was 1,657 USD per troy ounce of pure 100% gold. If you are not selling your gold jewellery for American dollars then the last thing you need to find out is the exchange rate of your currency. Let’s say you are selling your gold for New Zealand dollars then the USD/NZD rate you can find out pretty much on website on every bank. However, if you want the middle value (banks usually apply margins to their exchange rates), the best way is to find out the most actual rate on websites like www.xe.com or similar. Once you have all 4 things written down, now you can calculate the real pure gold content value of our jewellery. Off course you will never get the full gold content value for your unwanted jewellery. The gold buyer will have some cost extracting the gold and converting it into some useful form. They also need to have some profit. As mentioned in our previous article, there are some countries with high competition in gold market and low wages, like Thailand or India. If you sold your jewellery there you the margin is low as 5 to 10%. So for your gold item you would get anything between 510 – 540 NZD. If you are selling in New Zealand or other western country, you won’t get anything near that. 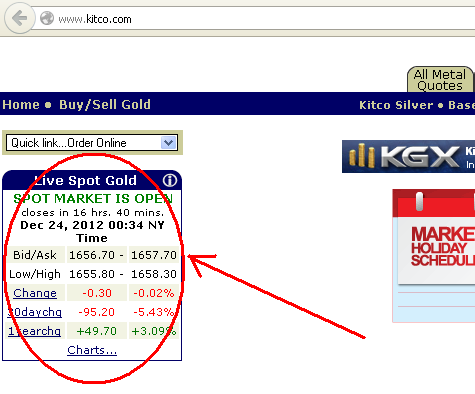 The gold buyer costs, overheads (usually that means wages) and last but not least the profit margins are just too high. You may expect margins anything between 15% and 60%. In another words you get only 40% to 85% of your gold’s real value. We don’t aim to do promotion for anyone, but just today we noticed in the Manukau Westfield shopping centre one store opposite ASB bank, near the exit to the car park facing the Rainbow’s End. 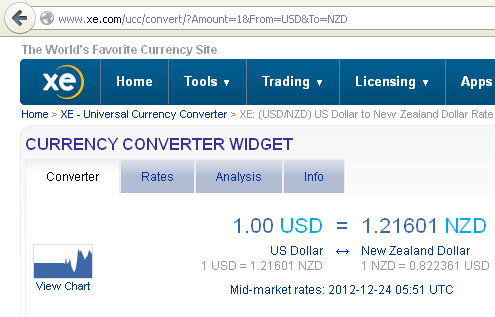 They were offering 54 NZD for 1 gram of pure gold, which is only 16.6% margin. That’s pretty good deal for New Zealand. These guys were quite honest about their price, displaying it on large display in front of their store, unlike some other gold buyers who don’t reveal their price until the very end, wasting your and their time. If you liked this article or would like to share own experience with selling gold then we would love to hear from you. Please leave your comments below.